The Arts – including new and renovated theatres and art galleries. The jobs that these projects will attract in the short and long term are varied but may also help families make the decision to move away from life in the major cities. The population is growing rapidly in Bendigo and is expected to jump 38% over the next 20 years, giving it over 150,000 citizens. To put into perspective, this is the same amount of people the City of Melbourne has in 2016. The city planning that is being undertaken currently is aiming to increase that jump twofold; aiming for 200,000 citizens locally, and 300,000 total citizens in the Greater Bendigo region by 2050. This is ambitious for what is still considered a country town by outsiders, but Bendigo Mayor Margaret O’ Rourke asserts it is the right way for Bendigo’s future, reassuring that everyone will have more opportunities to participate in community events. Even without reaching these aspirational targets; Bendigo’s population is still growing steadily. The current Bendigo to Melbourne service takes up to 2 hours 40 minutes, this is aimed to be halved in future. More express services are also currently being offered, this gives citizens in Bendigo the possibility to work in Melbourne in future, while still enjoying their lives in more rural and country areas. Services have already been increased to areas such as Bendigo and Ballarat, now the focus is on getting faster and more reliable trains on the tracks. Regional services will be increased once again mid-2017, and will also include newer and cleaner V-Line trains for customers. Victoria as a state has to grow outwards to accommodate the population boom, with a view to encouraging the suburban spread. Connection to Melbourne and other areas is essential to take pressure off the city and grow new cultural hubs. 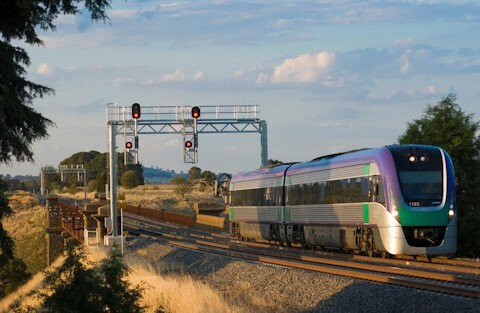 Commuting to different areas of Victoria in the future, while continuing to live in the same town is a possibility with the new Bendigo upgrades, new trains and extra services. 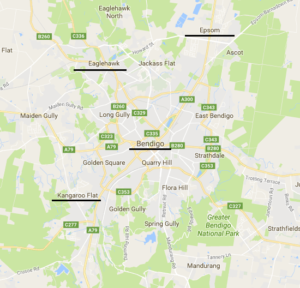 The added services to Bendigo’s surrounding areas will also help growth along the train line, for example in Epsom, Eaglehawk and Kangaroo Flat. The goal of ’10 minute neighbourhoods’ also ensures that everyone can easily access any part of town relatively quickly. Investment in Bendigo is not restricted to infrastructure positions, and also includes town planning, health and finance positions. Just released this week, there will also be a multi million dollar chunk of the budget allocated to upgrading and recreating Bendigo’s Kangan Institute – a TAFE campus and training provider to thousands of students, thus allowing them to stay in Bendigo while they complete their studies. With a budget of approximately $260.5 million for infrastructure, and up to $500 million overall, with some already committed, Bendigo and surrounding area’s citizens can start to get excited over real investment in their growing city.